Marketing message: stop with the “needs”! Craft a marketing message that makes sense. “Needs” is not what people are looking for! Say it in a husky, breathy voice and roll your eyes … “do you have needs?” Oh yeah, I have automotive needs, and financial needs, and … fill in the blank. “Needs” is the default word used by so many organizations in advertising … “call us for all of your insurance needs!” Puuhleeeze … it’s ridiculous! And yes I’m ranting … it bugs the H out of me every time I hear it. You get the idea. Whatever you think their “needs” are … they’re thinking about something else that is personal, that addresses their concerns, challenges and questions. When you frame your marketing message from that point of view; when your brand promise is the promise to the customer or client of what they can count on, what they can expect; when you clearly state the value you offer; you will relate to them on a higher level. When you relate to them, they’re more likely to choose your services, products or organization, rather than another. The answer is what you’re going to do for that customer, that target audience. Not just what they get, but what that means to them on an emotional, personal level. It could be how you work with them. It could be the result they get when they use your product or service. It could be how they feel about themselves, their family, their job when the transaction is complete. Crafting a marketing message that reaches to the hearts and minds of your audiences is tougher than it seems. It’s easy to fall back on default words. After all, everyone says they have great service (who’s going to say they have lousy service? ), but what does “great service” mean to the buyer or user? Enough rant. 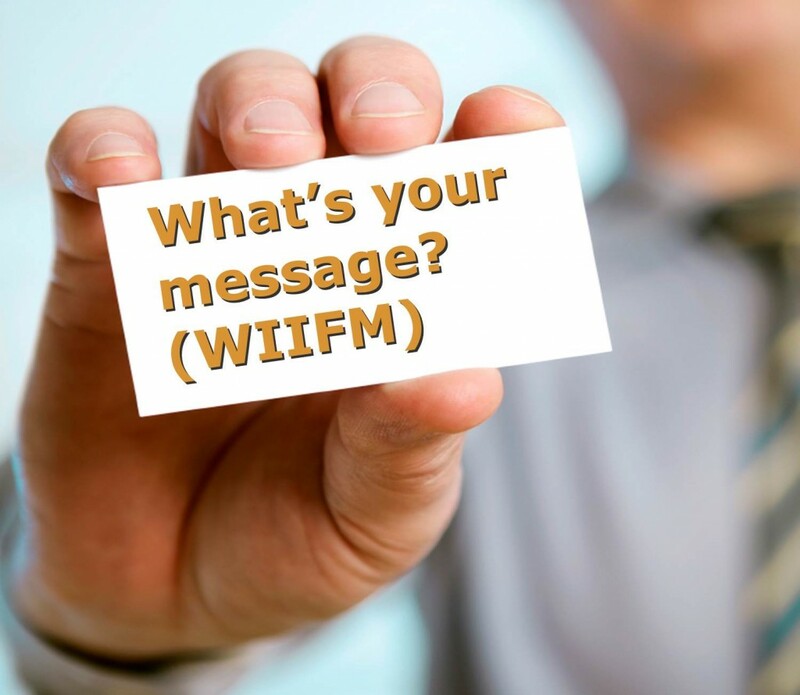 A marketing message must resonate. And “needs” doesn’t do it. Stop using it. Okay?